1.1 Prices for Products are quoted, in Pounds Sterling, on the Site. All prices noted on the Site’s price list are final. 1.2 Prices are subject to change if, and only if, a reassessment of the Products is undertaken by Elkin. 1.3 VAT is inclusive in the total cost for Elkin Products. 1.4 UK delivery costs are outlined during the payment processing stage. 1.5 Elkin reserves the right to withhold the Products and/or terminate this Agreement if the final total price is not received from you in full, on time, in cleared funds. 2.1 Payment in full for any Elkin Products is due upon the placement of your order in cleared funds via paypal. 2.2 A detailed invoice will be e-mailed to you following Elkin’s receipt of payment in full, on time, in cleared funds. 3.1 Elkin will arrange for the Products to be delivered to the address for delivery indicated in your Order. 3.2 An estimated delivery date will be provided to you upon the placement of your order. However, we cannot guarantee delivery by the relevant date. 3.3 Delivery of Products will be made using a postal service of Elkin’s choice. 4.1 Ownership, as well as risk of damage to or loss of the Products will be at your risk at the time of delivery. 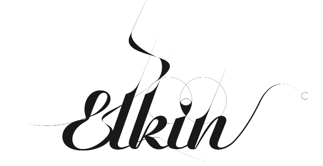 5.1 Product Orders accepted and approved by Elkin are final. You may not cancel this Agreement at any time, unless Products supplied are defective or in unsatisfactory condition. This also applies to bespoke commissions. 5.2 If Products are received defective and/or in unsatisfactory condition, you must inform Elkin by email and telephone (07967 756817) within 48 hours of receipt of Products. Products must then be returned to us immediately, in the same condition in which you found them. 5.3 Any Products returned to Elkin, for any reason, at any time, must be returned in the original packaging –or its directed equivalent– and transported by a courier or postal service of Elkin’s choice. 5.4 If you do not inform Elkin of your defective or unsatisfactory Products within 48 hours (via telephone) and again within 7 business days (in writing) upon the receipt of your Products, Elkin shall no longer bear liability to you for the defective or unsatisfactory Products. 3. if both parties agree, supply you with a replacement or substitute Product. 6.1 If you are entitled to a refund, Elkin will refund your payment via credit, debit, and/or banking card. 6.2 Under no circumstances will Elkin offer refunds in cash. 6.3 Elkin agrees to process the refund due to you as soon as possible and, in any event, within 30 days upon receiving your written notice of cancellation. 7.1 Images of Products on Elkin’s Site are for illustrative purposes only; actual Products may differ from such images. Each bracelet is unique. 7.2 Elkin warrants to you that any Products purchased from this Site will be of satisfactory quality. c) Acts, restrictions, bye-laws, prohibitions or measures of any kind or part of any governmental, parliamentary, state, city, or local authority. 7.4 Elkin agrees to advise and/or assist any and all customers with any subject relating to the correct usage, cleaning, storage, or repair of any of its Products. 9.1 This Agreement and the performance of both parties will be governed by and interpreted in accordance with the laws of the England. 9.2 English courts shall have exclusive jurisdiction with respect to any dispute arising under this Agreement. 10.1 You shall indemnify Elkin against all claims made against Elkin by a third party in respect to Products supplied by Elkin. 11.1 If any provision of this Agreement is found to be illegal, void, or unenforceable, the remaining provisions shall remain in full force and effect, and such invalid provisions shall be severable or omitted from the remaining portions of this Agreement. Elkin is committed to ensuring that your privacy and any personal information you provide when using this website is secure and protected. b) when enquiring about any of Elkin’s products or services. Any of your personal information willingly provided to us is used exclusively by Elkin. b) for providing you with current and future information about our products and services. Any of your personal information collected via this website, email, or in-person will be used solely by Elkin in accordance with the Data Protection Act 1998. Elkin will not sell, distribute or lease your personal information to third parties unless required to do so by law.